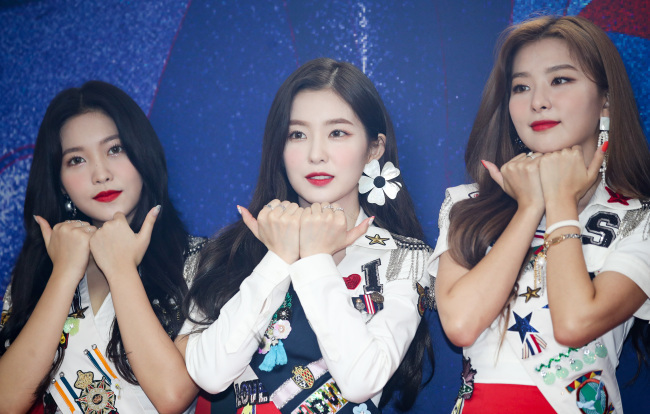 “Our new single ‘Power Up’ delivers a message of ‘work hard and play hard.’ If ‘Red Flavor’ is energetic and upbeat from its beginning to end, ‘Power Up’ is very infectious,” said Irene during a press conference for the band’s second solo concert “Red Mare” in Seoul on Sunday. 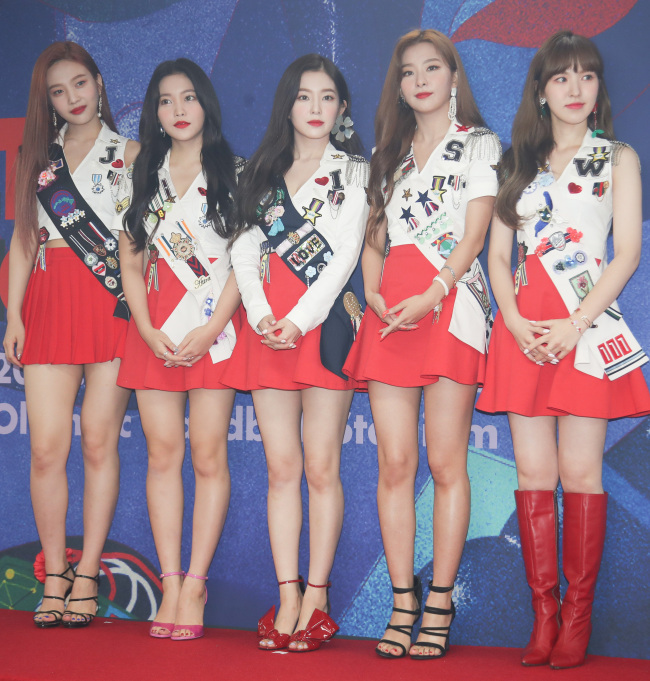 “Power Up” marks the group’s second summer track since its smash hit “Red Flavor,” while “Summer Magic” is the act’s sixth Korean EP and its second Korean album of the year following “The Perfect Red Velvet” in January. “It’s our second summer comeback, and we’ve filled the album with a cool vibe so people can overcome this hot weather. If ‘Red Flavor’ reminded people of fresh fruits, ‘Power Up’ gives you energy, just like its title,” Wendy said. While the members admitted they felt burdened over the new album, as they had seen massive success with “Red Flavor,” they said with confidence that “Power Up” would be another summery earworm. “Personally, I really liked ‘Red Flavor,’ so it’s true that I felt burdened. But we’ve put a lot of effort into the song by recording it in various versions and studying the song’s nuances. I can confidently say that ‘Power Up’ will be very charming,” Joy said. 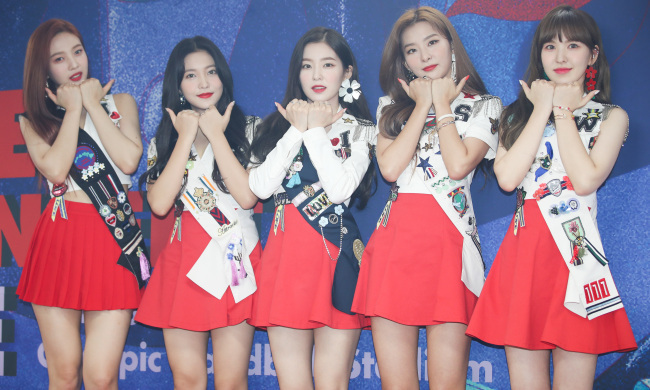 Red Velvet kicked off its two-day solo concert “Red Mare” at Seoul Olympic Stadium in Seoul on Saturday, when the five-piece act performed its new songs for the first time. The adventure- and horror-themed event also marks the band’s first solo concert since its “Red Room” concert in August last year.